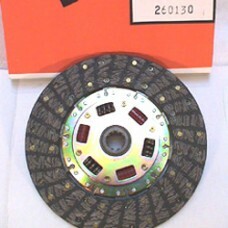 McLeod Performance 100 series clutch disc. 1-1/16” x 10 Spline, 10.5” diameter disc for street / strip use. Application: Small Block Ford e.g. 5.0l Mustang & Tremec 3550/TKO transmissions e.g. TRE500FD.